PLAN IV. BETTER PLANNING III.II.I... - The Americans .US! For better contracts and better support to the warfighter, integrate operational contract support personnel into the same education system that trains the operational personnel. 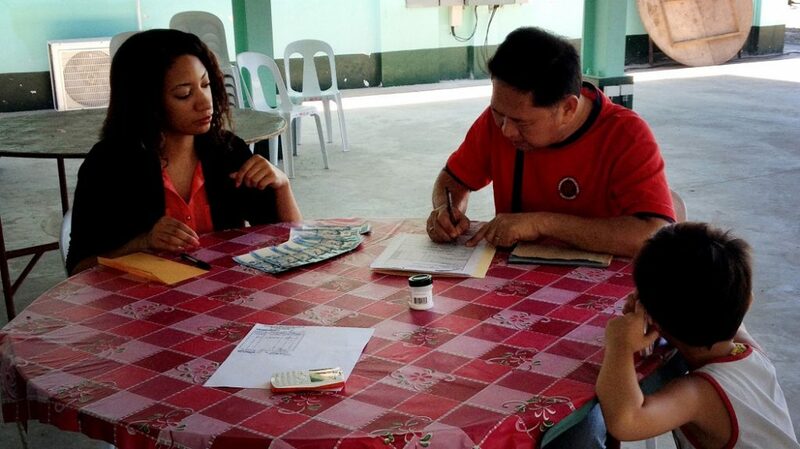 Imagine you’re a contingency contracting specialist supporting an exercise in the Philippines. Having arrived in the country, you receive a list of requirements from the operational units participating in the exercise and have limited time to get vendors on contract. The requirements that vendors will supply range from basic life support to some that are more mission-specific. In any case, you have a strict time limit to make the mission happen. So, the requirement for 200 portable toilets at a Philippine exercise range doesn’t raise any red flags for you as you execute the process to compete the requirement for quotes. When the unit arrives a week later, however, an issue pops up. 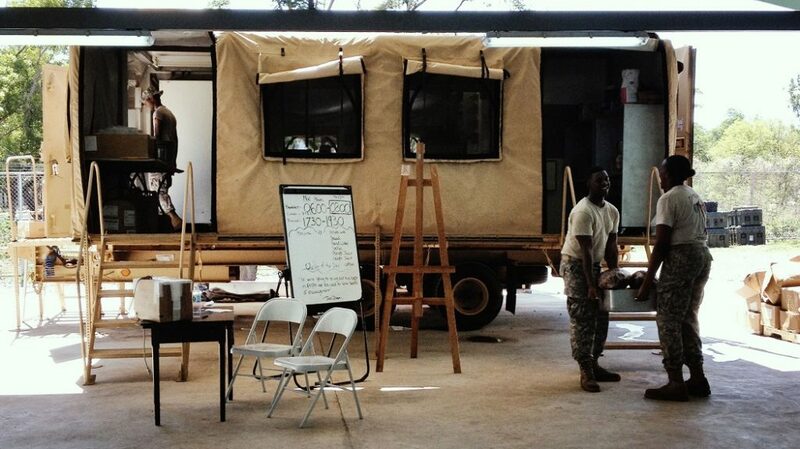 These aren’t the typical Western portable toilets U.S. personnel might expect to find at typical U.S. training sites. These are the local version, designed for squatting instead of sitting—clearly a difference between what the planners intended and what the contracting personnel executed. Over the past decade, with the Army and other service components supporting large-scale contingency operations in Southwest Asia, a distinct disconnect has become evident between operational contract support (OCS) planners and the joint operational planning effort blending contractual support with the services’ built-in logistical capabilities. This disconnect surfaces commonly during joint bilateral exercises, where basic contracting principles like defining requirements—not just any kind of portable toilet—are executed poorly because of the lack of OCS perspective. Evaluations of contracting over the last 15 years of contingency operations have shown repeated proof of this disconnect. Even up to August 2011, with the release of the final report from the Commission on Wartime Contracting, analysis of contracting operations showed that ill-conceived projects, no matter how well-managed, are wasteful if they do not fit the cultural, political and economic norms of the society they are meant to serve. The report went further, stating that poor planning and oversight repeatedly resulted in costly outcomes and misspent money that could be used for other mission objectives. Clearly, a gap needed to be filled in the contracting efforts for contingency operations, and the contracting community’s answer was OCS. Since the 2003 invasion of Iraq, and particularly the release of the Gansler Commission report on contracting in October 2007, the Army’s OCS planners have improved their understanding of the joint planning process and their proper roles as an integral part of operational planning for all of the services, such as defining requirements and understanding units’ needs. However, the various military services’ planners have shown no intent to expand the involvement of the operational contracting community in the joint operational planning process, despite the ongoing requirements for contracting support. The need for contracting support is likely to persist or to grow, given the Army’s current and expanding logistical needs for a wide variety of operations worldwide in different geopolitical environments. For instance, deployed troops continue to receive support through contractual requirements such as the Logistics Civil Augmentation Program (LOGCAP), a program that uses civilian contractors to augment the Army force structure. LOGCAP is currently on its fourth contract, awarded in 2007. This contracting support is so necessary to operational units that troops actually train to use it. When units go to the National Training Center at Fort Irwin, California, to prepare for a deployment, a LOGCAP contractor is part of the training rotation, replicating the numerous services contractors will provide to the unit in theater. This reliance will continue for as long the military maintains a high operations tempo, allowing little time for planning and increasing the reliance on contractors. This underscores the need to incorporate OCS into the planning community. Military OCS planners are the Army’s best-equipped personnel, based on their training and experience in contracting operations, to identify how to fill gaps between the Army’s logistical requirements for products and services and what its supply system can provide. Consequently, it falls to OCS planners to initiate, coordinate and execute the contracts needed to sustain the warfighter. Typically, they are integrated with the Army’s traditional logistics personnel and units, working directly with units in the field to help organize and fill logistical requirements through all phases of an operation. Contracting support personnel do not replace logistics planners; rather, their skills are complementary, and OCS personnel help to streamline the procurement of capabilities from outside the military supply system—like the portable toilets for a joint exercise, in the example above. As a part of the acquisition community, OCS planners are well-versed in compliance with the Federal Acquisition Regulation and Defense Federal Acquisition Regulation Supplement regardless of the operational location. As critical as contracting is to the success of an operation, OCS planners would logically seem to require the same level of training in the art of operational planning as those service members assigned to other operational branches, such as infantry, armor or logistics. But they are not afforded the same level of training as their operational counterparts. Post-command officers, senior captains and noncommissioned officers E-7 or higher in most of the combat arms and combat support branches have a solid understanding of support to current operations and can identify needs and capabilities based on their experiences. In addition, they receive education to develop their abilities to plan at the operational and strategic levels. The Army schools that officers attend—the U.S. Army School of Advanced Military Studies, Air University’s School of Advanced Air and Space Studies, and Marine Corps University’s School of Advanced Warfighting, for example—bring together service members from diverse backgrounds within a narrow array of job fields, to provide them with a broad base of planning knowledge, including new processes and how to integrate the perspectives of various military occupational specialties and branches. 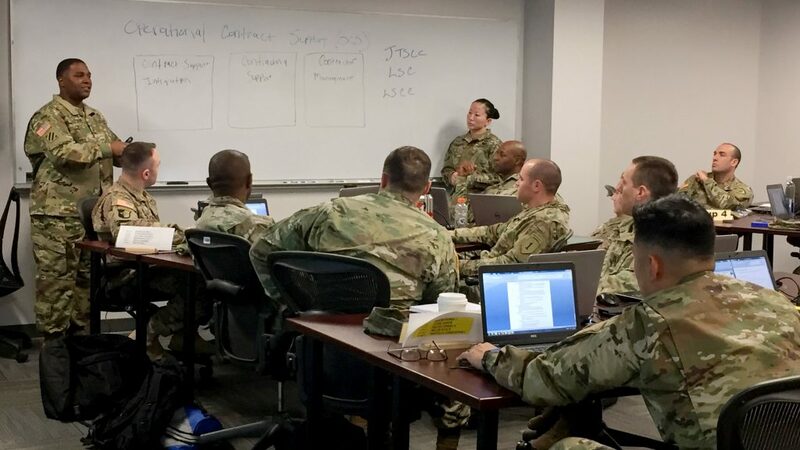 The School of Advanced Military Studies, part of the U.S. Army Command and General Staff College at Fort Leavenworth, Kansas, provides a 10-month course that prepares officers to lead a plans team. The school aims to build innovative, adaptive leaders who excel at operational art and are willing to experiment and accept risk. The experience of learning with a diverse group of other Soldiers produces better planners. Thus, a graduate of the school, say, an AH-64 Apache pilot subsequently assigned as a brigade S-3, or overall unit planner, knows how to build an operations plan that incorporates the ground-level perspectives of infantry, armor and artillery units along with Army logisticians’ perspective on when and where they can provide munitions and fuel. In theory, the S-3’s understanding of contracting support comes from having worked and studied with logistics branch officers; in reality, these officers may not possess the contracting knowledge they need to be effective because of a lack of practical experience. Unfortunately, the School of Advanced Military Studies and similar schools run by other services to develop plans officers are not open to contracting personnel, so contracting personnel may never learn how contract types and requirements can impact operations, positively or negatively, nor appreciate the necessary level of coordination in operational planning. The only training OCS personnel receive in planning is through the Joint OCS Planning and Execution Course (JOPEC), during which they receive instruction on how to support staff estimates, identify methods to integrate OCS into joint training and exercises, and estimate support requirements to develop plans and orders. Those contracting personnel who receive the JOPEC training are better prepared to participate in joint planning, but they still must rely on the limited operational experience they received before becoming acquisition personnel. Similar to the operational planning community, they are “stovepiped” within their own specialty and are not developing the skills necessary to work with their operational counterparts. As a practical reality, contracting often ends up being more an instrument to meet last-minute needs for supplies, construction or services than a focus of operations planning. Just as the demand for an item increases its value, this creates problems—inflated prices, unmet requirements, failed projects—in procuring items that are needed immediately. The last-minute approach rarely considers the necessary contract size and scope to fully support an operation. For example, inadequate planning for equipment—whether light forklifts, heavy cranes or container handlers—to off-load ground vehicles to be used in a mission will likely lead to profound difficulties for the warfighter. By not planning adequately, this materiel may be left sitting on a tarmac, waiting to be moved and essentially useless. In addition, having to hire contractors who are both certified and readily available can exact an unexpectedly high, budget-straining cost. In the end, planners across the force must be in sync in order to provide the most effective efforts. The operational contract support planner needs to understand what the warfighter needs. In turn, the warfighter and those who plan their missions need to understand what it takes to clearly define and execute operational requirements. Only a fundamental change in the culture of operations planning will be sufficient to fix this disconnect, instilling the need to include the intricacies of contracting in the full spectrum of planning considerations. The goal of this overall culture change should be to create a new generation in the planning community, one prepared to apply a multidisciplinary perspective to the various factors that influence the operational environment. This cultural transformation can begin with education, specifically at the advanced schools that develop plans personnel. and include contracting as a formal part of the curriculum. The ultimate objective should be to better integrate OCS personnel into operational environments to implement contracting earlier in the operation, thus avoiding the conflicts arising from last-minute contracting. Finally, advanced military schooling would better prepare operational contracting personnel to provide the services that the planning community requires for the Soldier. The necessary culture change begins with the education infrastructure that already exists. Attendance at these schools by OCS experienced personnel will be of immense benefit to all students and the planning community at large. If the Army continues its current lack of integration of war-fighting and OCS planners, then operational inefficiencies and excessive costs will persist. Proper integration of OCS will result in better-defined requirements, lower costs and improved schedule and performance. Ultimately, enabling the warfighter is why Army contracting exists. MAJ. KASANDRA B. THARP is a procurement officer for the Defense Intelligence Agency’s Missile and Space Intelligence Center, Redstone Arsenal, Alabama. Previously she was a contracting instructor at the Army Acquisition Center of Excellence in Huntsville, Alabama. She holds an M.A. in procurement and acquisition management and an M.A. in business and organizational management from Webster University, and a B.S. in sociology with a concentration in criminology from Kansas State University. She is Level III certified in contracting and is a member of the Army Acquisition Corps. Seeking Innovative Ways to Restore Our Warfighters!